We have blogged before on the basics of tankless water heaters. But, what about the maintenance and what does that entail? As most people know, water heaters need to be periodically drained to prevent mineral buildup that can cause hot spots and lower the efficiency of the unit. But, tankless water heaters don’t hold a large quantity of water, which makes their problems and maintenance a little different. Here in the Phoenix area, we have hard water which is full of minerals and other particulates. In fact, we have outrageously hard water compared to other areas. Hard water can keep a plumber busy, as it can cost a homeowner more in soap supplies, and can be hard on appliances and pipes. As a result, many homeowners decide to purchase a water softener or reverse osmosis system. If one of these systems is in place, the minerals from the water are removed and a tankless water heater can go for much longer without maintenance. For those tankless water heater owners who don’t have a water softening process in place, periodic maintenance of the tankless system will have to be done more frequently. Many manufacturers recommend yearly maintenance, which is in line with our water hardness. In other areas where the water isn’t as hard, maintenance doesn’t have to be performed as often. Some tankless units also have software which can determine when maintenance is necessary. The software can detect the amount of scale in a system and alerts the homeowner when it’s time to have the unit descaled. For those who don’t have the software, the homeowner will have to make an educated assessment based on their water, the existence of water softening equipment, the age of the unit, and other factors which may affect the descaling timeline. The best way to descale a tankless water unit is to follow the instructions in the manual provided by the manufacturer. It usually involves flushing the system with straight vinegar or, under certain conditions, a calcium, lime, and rust removal product. There are descaling kits available online. Regardless of whether the homeowner decides to do their own periodic maintenance, or have a professional do it, performing the needed descaling correctly and on a regular basis will help keep the system clean and damage-free. 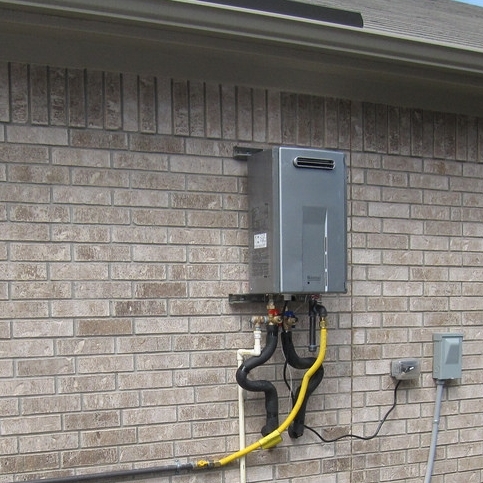 This in turn will protect the homeowner’s investment, since a tankless system tends to be much more expensive than a regular gas or electric water tank. Clean, hot water in abundance is a privilege which much of the world doesn’t enjoy. So, while we enjoy this type of luxury, it’s critical to be good stewards of the systems and appliances which make limitless hot water available to the home and family.